I am a certified Magento expert from BSSGeek - a Magento Solution Agency. Along with my team, we provide innovate but still, affordable Magento services to help online merchants build up and optimize their e-stores' performance. We have had 5... years experience with over 1500 global customer around the world. 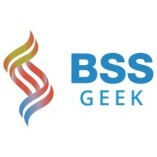 Visit our website to see their websites that built by us along with BSSGeek frequently special promotion!